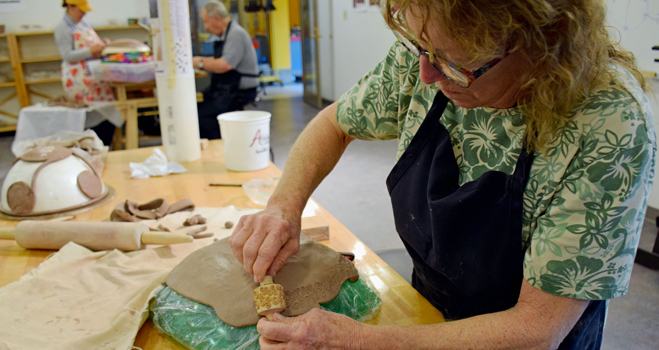 Build on basic pottery wheel skills in this five-week intermediate class. 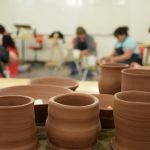 Participants will learn to refine their forms, throw larger pieces, and create more complex forms such as lidded jars. 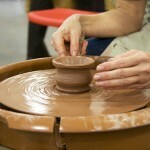 Ever wanted to try throwing clay on the pottery wheel but don’t have much time? 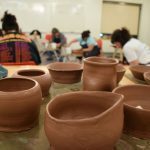 Try this class that introduces beginners to working on the potter’s wheel in three short sessions. Enjoy extra time to work on your own projects during this uninstructed Open Studio time. Clay, glazes, and pottery wheels will be available.